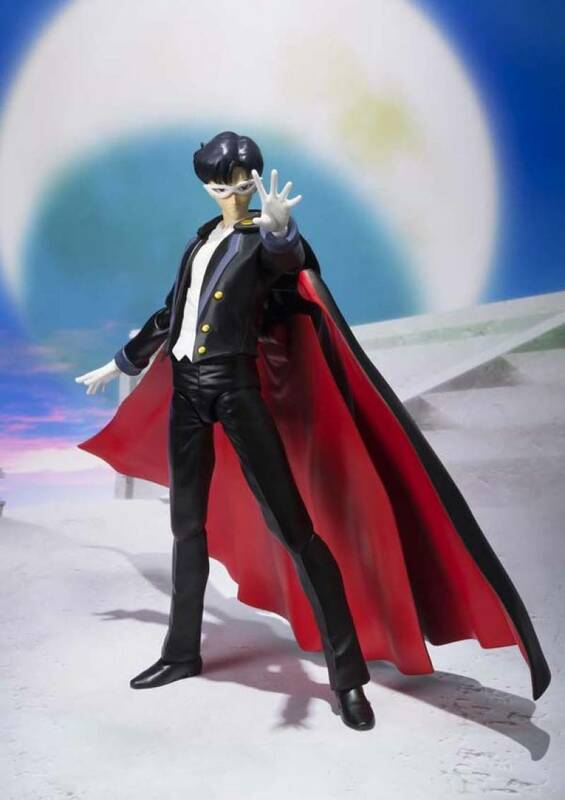 Crying won't solve anything, Sailor Moon! 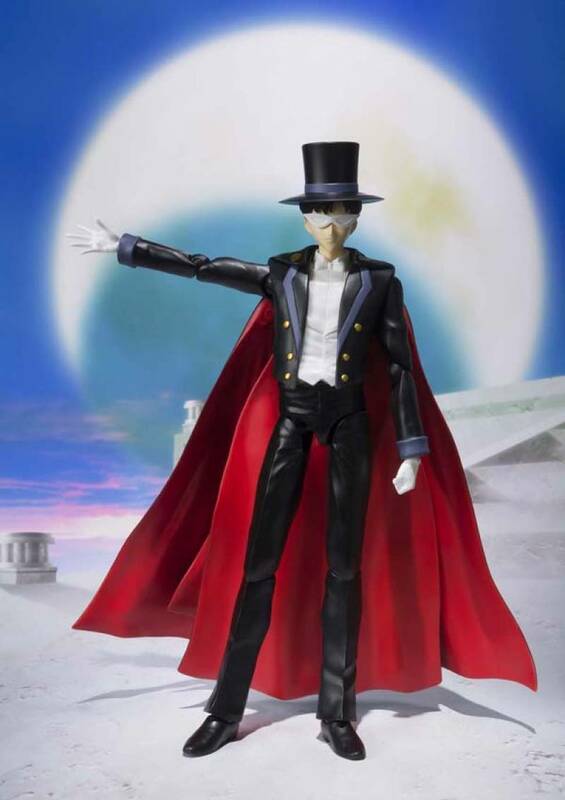 And no one will have to cry anymore now that the mysterious Tuxedo Mask has arrived to S.H.Figuarts! 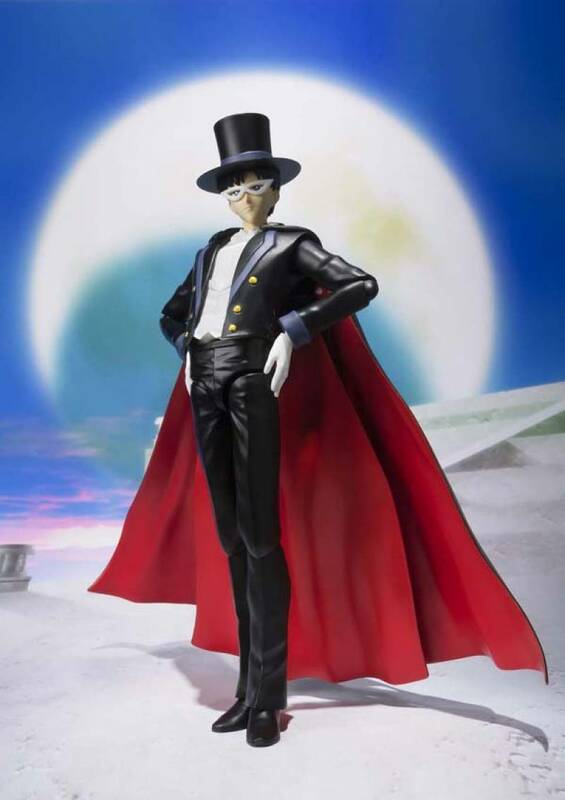 Tuxedo Mask"s cape is fully detachable and with a little arrangement using accessory parts, you can remove his top hat and mask to portray Mamoru Chiba. 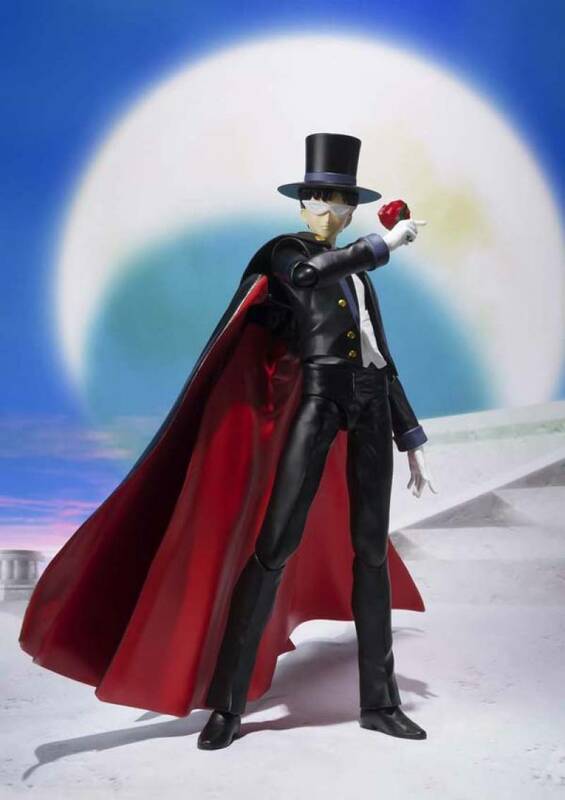 You can also display Tuxedo Mask holding a rose in his most memorable pose. 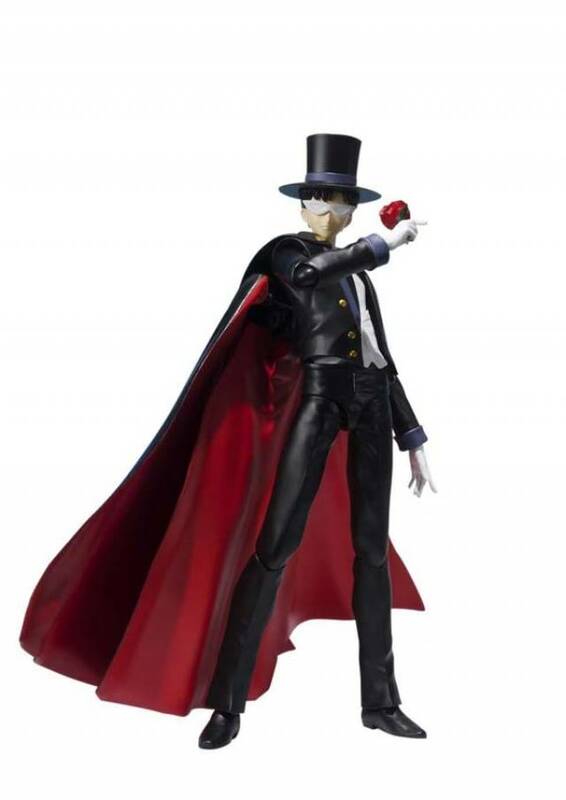 Set comes complete with an Orgel, cane, 3 interchangeable face parts, interchangeable hands (x5), plugs for when the cape is not in use, and a special stage action figure stand.